As a lover of Clint Eastwood’s films, I was very excited to see his latest film, “Hereafter.” I went in to this movie not knowing much about it. I saw the trailer once, but did not grasp the exact concept of it. I am glad that I didn’t because I think it helped make the film more captivating. But I’m very happy to say that “Hereafter” surpassed my expectations. It is hard to explain what “Hereafter” is about without spoiling it. I do not want to spoil it for you because it would just ruin the movie. 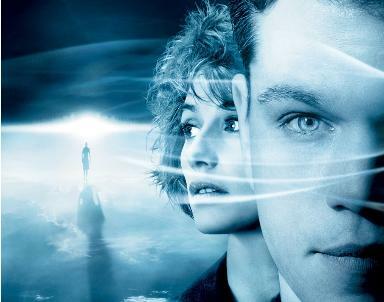 Yet, I will say that this film is about “death” and deals with the question of “What happens when we die?” It is a bit on the supernatural side with Matt Damon playing a psychic who can connect with the dead. We also follow the lives of two other characters, a successful French journalist (Cécile De France) and a young British boy (Frankie McLaren). The grief, confusion, and desperation that follow death connect each of the main three characters. These human emotions that surround death make it a far more realistic film. As well, true events are integrated into the plot, which I thought was very clever of the screenwriter. Clint Eastwood films this movie beautifully. From the very first seconds, you can instantly tell it is one of his films from his minimal score. I know many complain about Eastwood’s score, but it goes a long way in this film. It’s also different from his previous films. It is more gentle and softer; sort of how you treat a person who has had someone close to them pass away. I think we need to take a moment to recognize Peter Morgan’s screenwriting abilities. I didn’t even know he wrote this screenplay until the end credits! As a big fan of Morgan’s other writing credits (“The Queen,” “Frost/Nixon”), I was elated to find out he wrote this movie. As I mentioned earlier, mixing in real events with the story was excellent. And I bet Morgan could not help but do that, since writing about real events is his forte. Does Morgan deserve recognition for this script? Definitely. As does Eastwood, for making a stunning film. The acting was top-notch. Damon, De France and McLaren play their characters exceptionally. Although, come awards season, Eastwood and Morgan are most likely to receive nominations. This movie left me thinking. What does happen when we die? Because I’m young and healthy, I never bother to think about it. It is something hard to come to terms with, and it’s such a delicate topic. I absolutely recommend seeing this movie. It is a bit slow at some parts, but it’s a great movie for everyone to see. “Hereafter” will be in theaters October 22nd. Previous ArticleTwilight Halloween Giveaway Announcement!